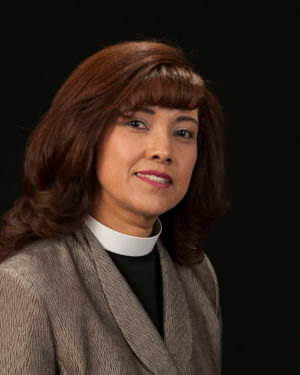 Pastora Irma Bañales served as the pastor / developer of First Sagrada Familia Lutheran Church, Garland, TX, from 2013 to 2017. While developing that congregation, she was also the Dean for the NT-NL Synod’s Latin@ Conference. Prior to this call, she served as the Hispanic/Latin@ Ministries Coordinator of the synod (2004-2013). She began working for the synod as the Receptionist / Administrative Assistant to the Mission Director (1999-2003). Pastora Bañales was ordained in the NT-NL Synod on May 24, 2014. She received her degree in Family Counseling from TCU / Brite Divinity School in 2010. She supplemented her training with the Parish Lay Minister Academy (2009-2010). She followed that with her attendance in the TEEM program at Pacific Lutheran Theological Seminary (2012-2014). Pastora Bañales has also been involved significantly with ELCA Churchwide, serving on the following ELCA teams: Mission Developers Training Planning Team, Future Directions Table Team, Latin@ Strategy Table, New Mission Developers Interviewers Team, and Latin@ Coaching Team.